It's been years in the making, and now it's here. 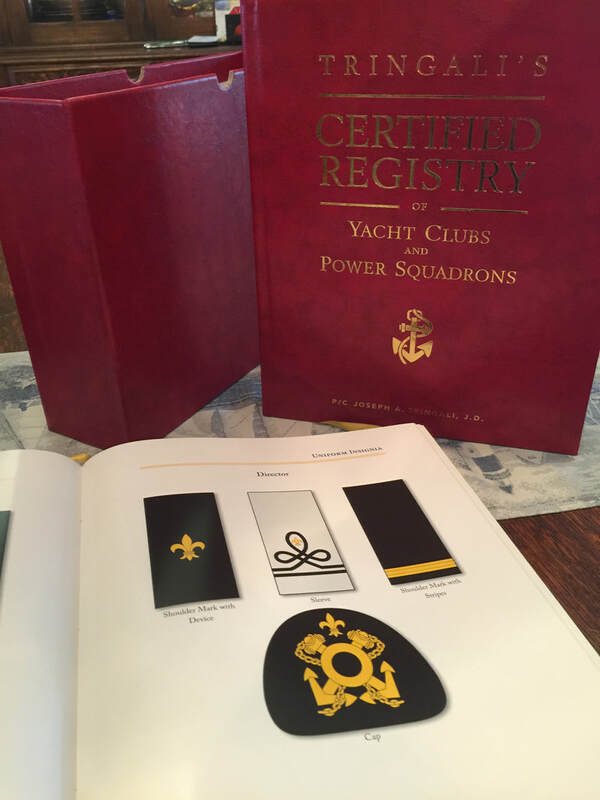 Joe Tringali, North Palm resident, former mayor and founder of the North Palm Beach Yacht Club, is the author of "Yachting Customs and Courtesies" and its companion book, "Registry of Yacht Clubs and Power Squadrons," the only book of its kind. The deluxe, two-volume set, bound in red leather with gold leaf on the pages, is an exhaustive compendium of yachting and sailing customs, ceremonies and flags. North Palm Beach Life sat down with the Tringalis -- Joe and wife Mary Lou -- at their North Palm home and learned about how the book came to be, and other literary projects in the works. Complete information on how to order the two-volume set can be found on the Calkins Harbor Publishing website. Joe and Mary Lou will soon hit the road for book signings, including an upcoming trip to the Buffalo, NY, Yacht Club.